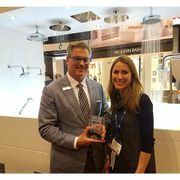 The ROHL Perrin & Rowe® Deco™ Exposed Floor Mounted Tub Filler with Handshower has been awarded with an inaugural AD Great Design Award. The awards were created by Architectural Digest to further elevate distinctive products that represent truly best in class. Each winner is curated with the publication’s tastemakers, influencers, and design enthusiasts in mind. 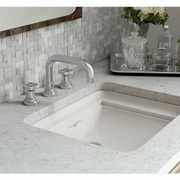 The Perrin & Rowe® Deco™ Floor Mounted Tub Filler elevates any bath to a luxurious spa retreat. Designed and crafted in Great Britain, each Perrin & Rowe® Deco™ Tub Filler is assembled by hand and then hand polished with a special jeweler’s finish to maintain the fixture’s intricate lines. 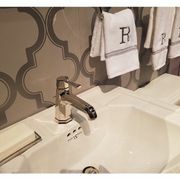 The tub filler was featured in the April 2017 print and digital editions of AD with expanded coverage on archdigest.com.